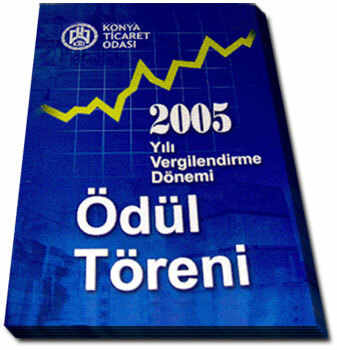 According to 2005 Corporate Tax Return, Özgür AKIN The Chairman of AKINSOFT as the 1st in its own category and the 31st in Konya won the highest tax payer award “Gold Medal” at Chamber of Commerce of Konya on December 7 2006 to the accompaniment of Minister of Finance Kemal UNAKITAN, President of Konya Chamber of Commerce Hüseyin ÜZÜLMEZ, President of Union of Chambers and Commodity Exchanges of Turkey M. Rifat HİSARCIKLIOĞLU, Lieutenant Governor Nevzat DALKIRAN, President of Chamber of Industry Tahir BÜYÜKHELVACIGİL, President of Tax Administration, delegates of political parties, mayors, industrialists, businessmen.Besides, AKINSOFT feels happy to earn the award of “Declaration of High Level Corporations” from Chamber of Commerce of Konya. 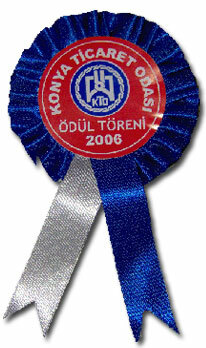 AKINSOFT which assigns its purpose as establishing solution partner network all over the world and transmitting the technology to all sectors and to give the best service and support to its customers by taking as principle “There may not be any place where human and humanity are not valuable” became one of the pioneer corporations of Turkish software in 10 years. The Chairman of AKINSOFT Özgür AKIN who stated that the target of being the highest tax payer is not a coincidence said “We think that tax liability which is the one of the realities of social life is a contribution to national economy and a commercial responsibility that is related earnings. We will never make concessions from the discipline that is created in our own structure, the purpose that we target, and our beliefs. We purposed being a model to all the world and we believe that we proved that we do not have commercial concerns obviously by being the highest tax payer. 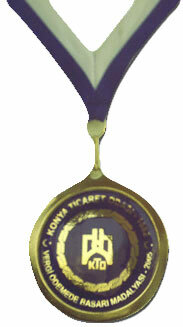 We are honored to be the highest tax payer of Konya.” in the speech of ceremony. 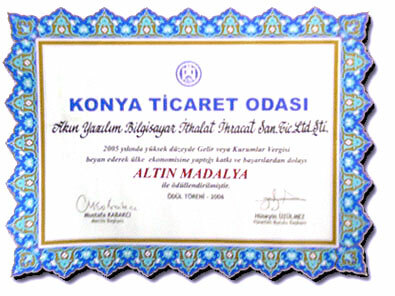 Being the pioneer of software in Turkey.